Looking at several trip itineraries for a weekend away from Paris, we could not choose between going east or west… or maybe north or south. 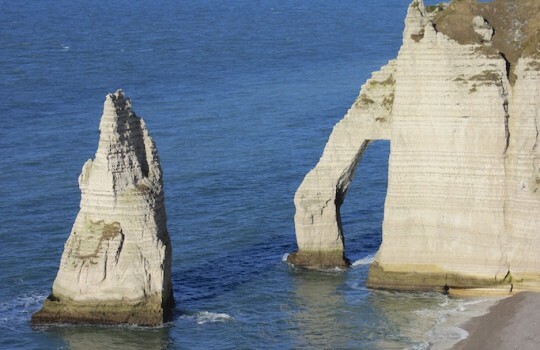 That’s when a friend of ours came up with a great suggestion: driving to Étretat and Deauville, in Normandy. 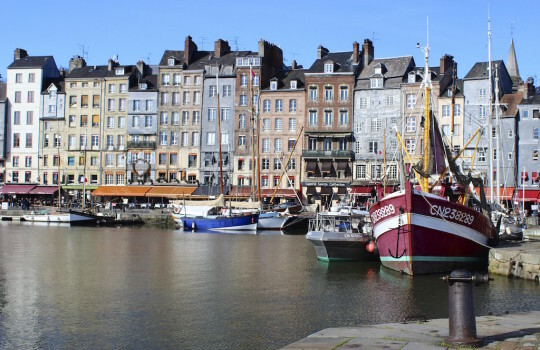 Quickly evaluating the option, we truly loved the Normandy road trip idea and prepared our weekend on the French west coast. 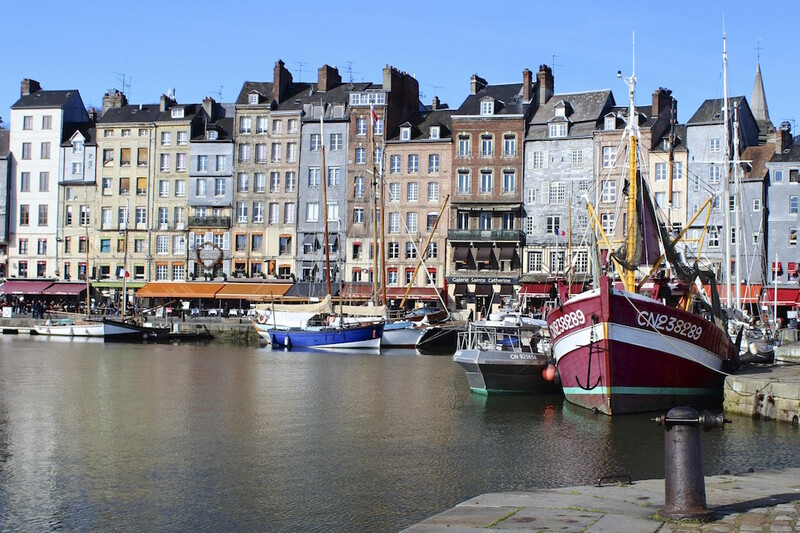 After discussing possible routes, we decided that making a stop in Honfleur on the Saturday night was the best solution to avoid driving too much, and have time for dinner in the famous little town. Our 2-day Normandy road trip itinerary included 3 steps: Etretat, Honfleur and Deauville/Trouville. Leaving Paris early in the morning, around 8am, we started our Normandy road trip and made the 2-hour driving journey to Étretat without any problem but with a constant rain that wasn't a particularly good sign for our weekend. Arriving in Étretat, we could not park in the city center as the main parking was already full and had to go to the one above the city, about 10 minutes away by foot. By then, the weather had magically improved and we started to see rays of sunlight piercing the clouds as we were walking in the tiny streets to approach the seaside. 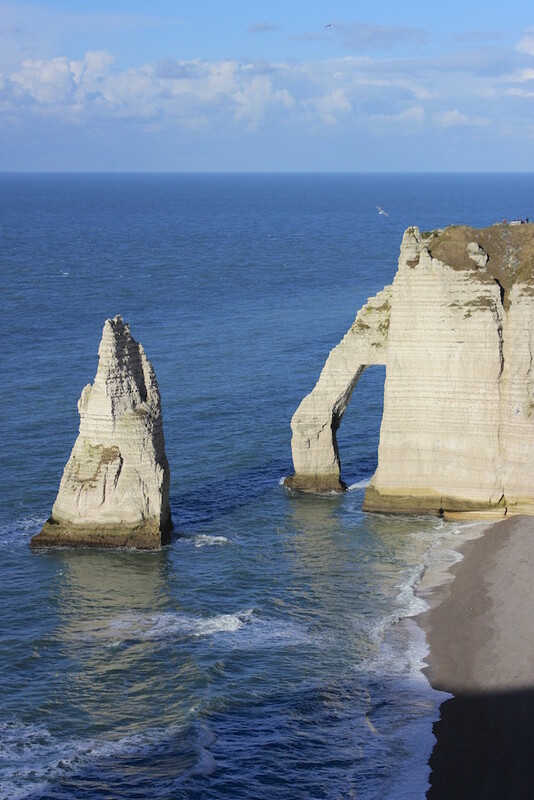 As first-timers in Étretat, we found the city's architecture and atmosphere fabulous and were amazed by the dramatic landscapes surrounding the town. Facing the sea, you see on each side the impressive (and world-famous) cliffs that stretch for kilometers. Étretat really found the perfect nest! We first decided, before lunch, to explore the north cliff on the right side when you face the sea. Hiking up to the top, you get a bigger view of the stunning landscape: the beautiful town, the impressive cliffs, the natural arches, the pointed "needle" and the majestic sea... At the top of the cliff, there is a nice little church and many tourists taking (selfies as well as a few) pictures of the landscape... We took a few pictures and started to hike on the top of the cliff for a few kilometers. At some points, you're even able to go down sometimes to the sea level. Amazing shots can be taken, don't forget to take a good camera with you! 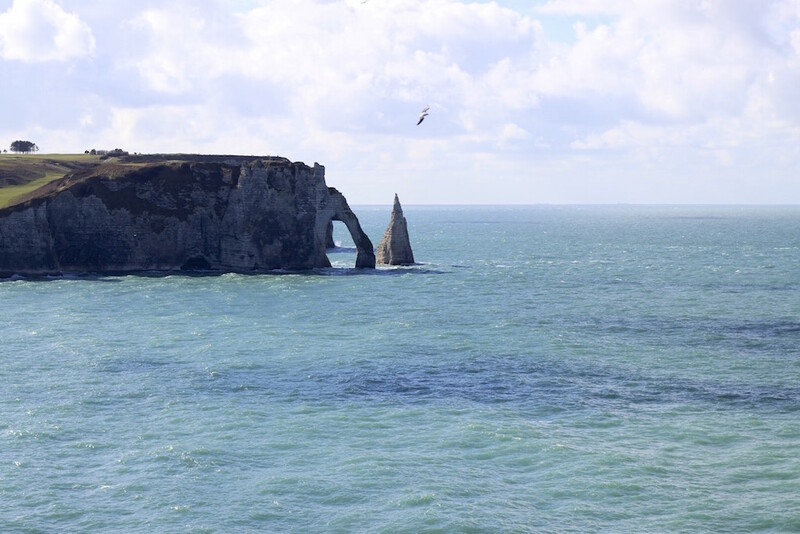 After this walk, we went back to Étretat and started our search for a nice restaurant to have lunch. Getting a little lost in the tiny streets, we checked out places on TripAdvisor as we wanted to avoid disappointment... Thanks to the site we found this awesome (and highly-rated) crêperie just a little bit further, but away from the big tourist spots like the beach front. The crêperie itself is called the LANN-BIHOUE and serve simple yet stunning galettes. We were not disappointed and would recommend this place to anyone! Our afternoon was dedicated to the south cliff, which is on the left side when you face the sea. Luck was definitely with us when the clouds disappeared and the sun made a gorgeous apparition to highlight the cliff and create beautiful colors both on the sea and the cliffs. Similarly to our morning schedule, once up there, we kept on walking further to explore a bit the path and enjoy the spectacular views over the sea. Leaving Étretat at 5pm, we took the car and headed towards Honfleur, around 45 Kms south. We enjoyed a very nice drive with the sunset and great colors in the fields around. One of the impressive moments is when you take the Normandy Bridge, a cable-stayed road bridge that spans the river Seine linking Le Havre to Honfleur. The bridge held the record for the longest distance between piers for any cable-stayed bridge in the world, but lost it in 1999. We arrived in Honfleur just before 6pm and parked the car. We had booked in advance a nice Airbnb near the old, picturesque port, which is the key tourist attraction of the town. We decided to go out for dinner at the exact same time as the rain came back. Without umbrella, but with a solid motivation, we started to look for a cosy place for dinner. We found La Tortue, a French specialty restaurant in the "rue de l'Homme de Bois" street. We had a very good time and found the food as well as the wines excellent. Prices are a bit high for the region, but still much cheaper to what you would find in Paris. After a good night of sleep, we woke up and found a very sunny day waiting for us. We started to explore the town and walked around the old port and the tiny streets around. We had coffee and a light breakfast. With a great view on the beautiful sailing ships, there is no possibly better way to start your day! We then visited a few shops to buy regional products. We left Honfleur at 11:30 am and drove the 20 kms towards Deauville. The drive is very pleasant as you cross typical villages on the way and arrive from the top, overlooking Deauville and Trouville. 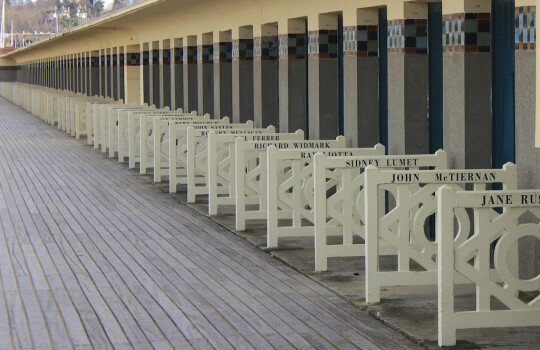 Famous for its casinos and the beautiful houses facing the sea, Deauville stands out as a key destination for Parisians willing to escape the frenzyness of the capital. It is considered as one of the most prestigious seaside resorts in France. We had lunch at a restaurant not far away from the beach. Not as nice as the 2 other restaurants we visited previously, but still really good. We then spent the afternoon walking in the city, on the beach and near the port of Trouville. This village of fishermen that borders Deauville is a well-known tourist spot in Normandy. We left Deauville at 4 pm to head back to Paris and avoid the awful traffic jams that often occur on Sunday afternoons.